The Autumn Equinox has not even arrived, and we are already having lovely fall weather here in Tokyo (it makes me a little fearful of winter, but I’m actively trying to ignore mental images of my house covered in snow). 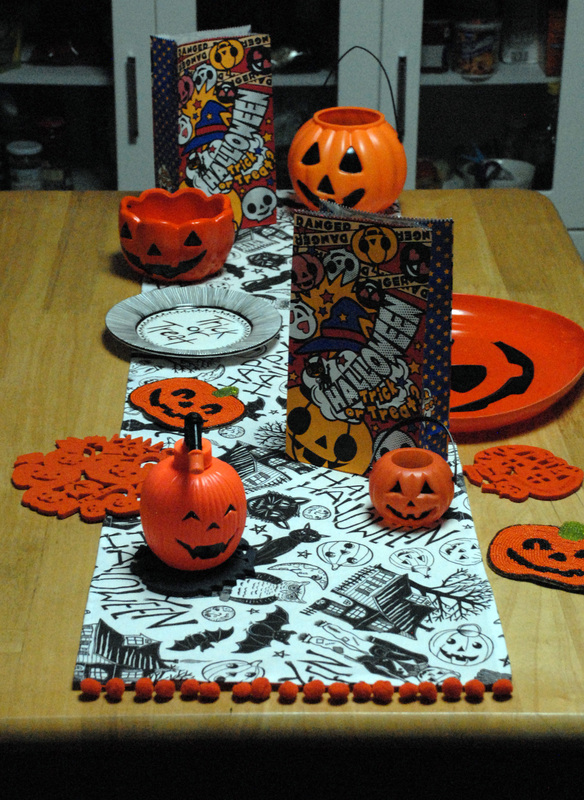 We thought it would be fun to share our Halloween tradition with you. 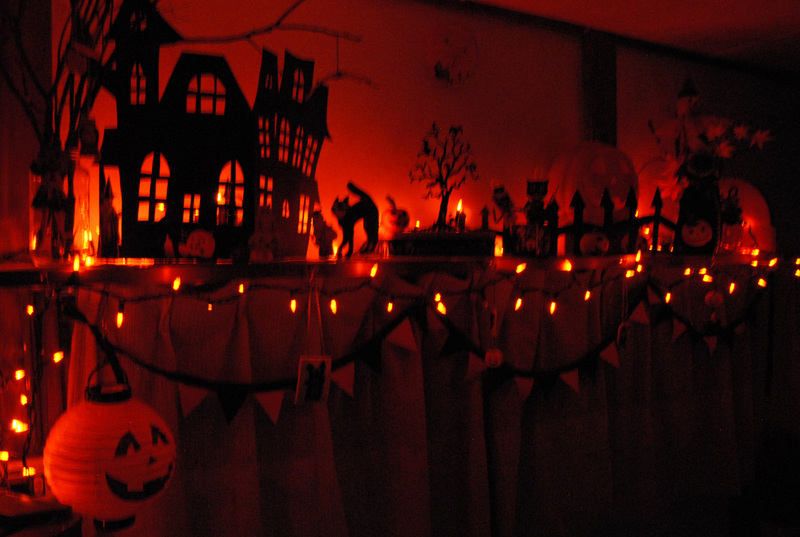 We kicked-off our 2014 Halloween festivities this week, and here’s a snippet of what we started the season with. 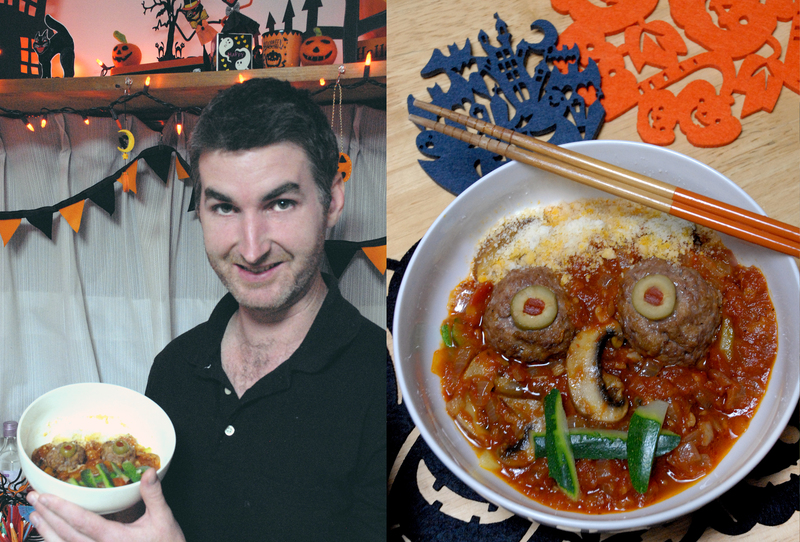 4 years ago, we started a Halloween tradition that involves a festive meal accompanied by a “scary” movie. 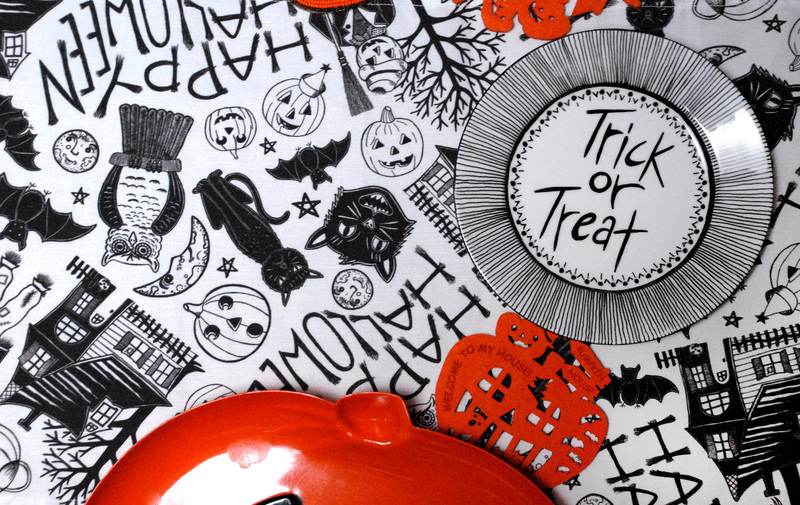 Now, I’m a big wimp when it comes to scary movies, so we tend to watch the old classics, the Harry Potter series, and our favorite Halloween TV episodes. 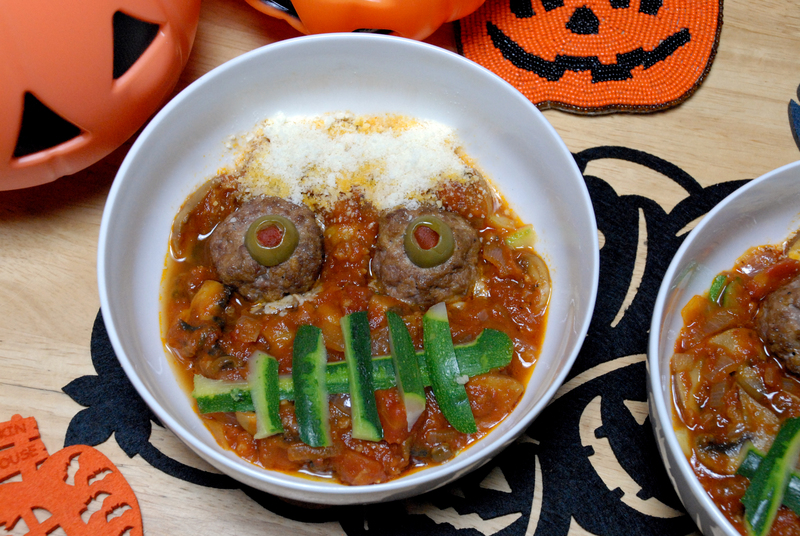 On this evening we made “Ghoulish Goop” (spaghetti & meatballs served over zucchini, recipe below), and we watched the classic film, “Invasion of the Body Snatchers”. EEeeek! Instructions Saute onions & minced garlic in olive oil until onions are soft (about 5 minutes over medium heat). Add chopped mushrooms and additional olive oil, continuing sautéing until mushrooms are soft. Add entire jar of spaghetti sauce along with a pinch of salt and pepper if your sauce requires it. Let mixture simmer for 3~5 minutes then serve over zucchini and meatballs. Instructions Pour water over chopped zucchini in a pot. Make sure the water covers the contents. Add olive oil or butter to taste. Bring pot to a boil. Boil for 2~3 minutes, until zucchini is soft (it softens quickly!). Strain cooked zucchini and serve as noodles with spaghetti sauce and meatballs. Instructions Preheat oven to 400. Mix all ingredients together except green olives. Roll mixture into golfball sized balls, and place on foil-lined baking pan. Use your thumb or a knife to make an indention into the meatballs. Then, add the green olives. Bake for 20 minutes. Serve with sauce and cooked zucchini. 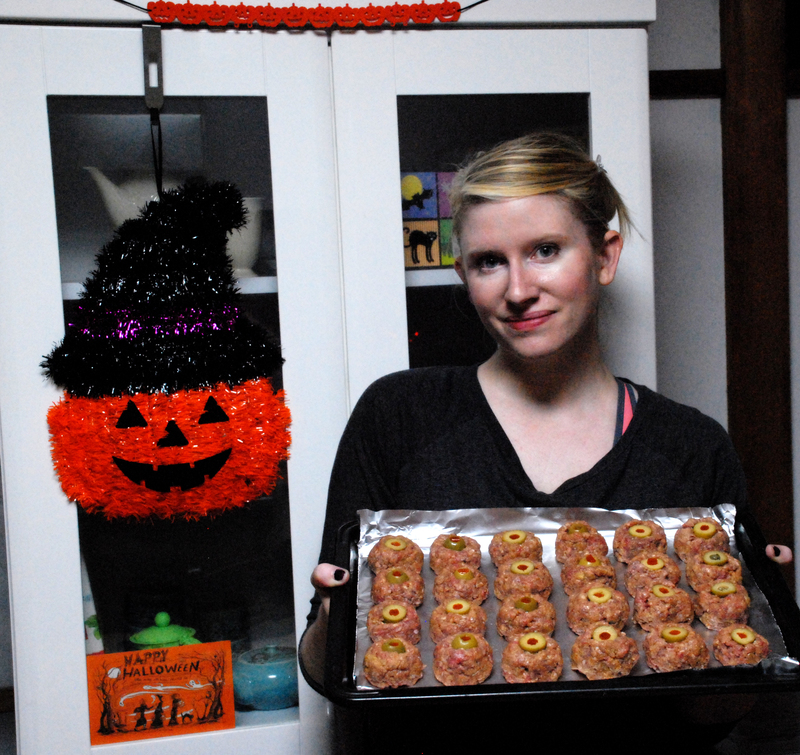 This photo shows the meatballs right before I placed them in the oven. I actually doubled the recipe so we could get two meals out of all my hard work. haha. I would say this meal serves 3~4 when not doubled. Serve hot and garnish with parmesan cheese. 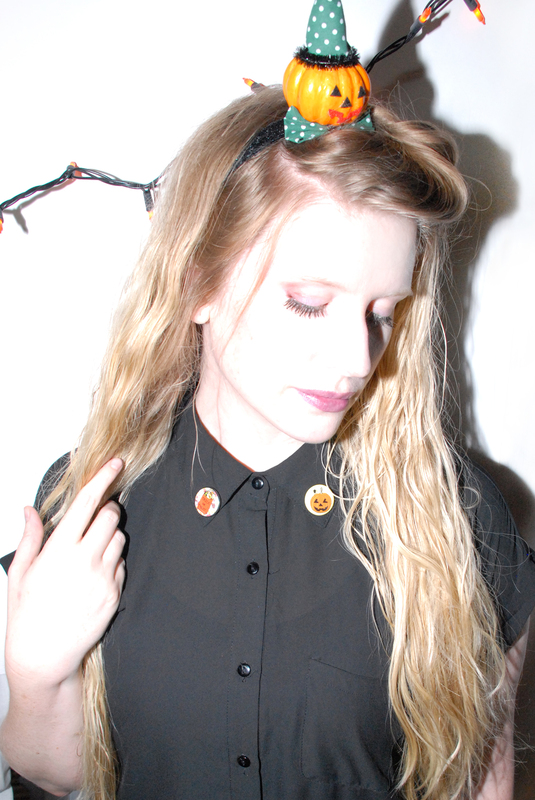 As you can see, we used the cheese to create a scalpy dandruff on our ghouls’ heads, haha. 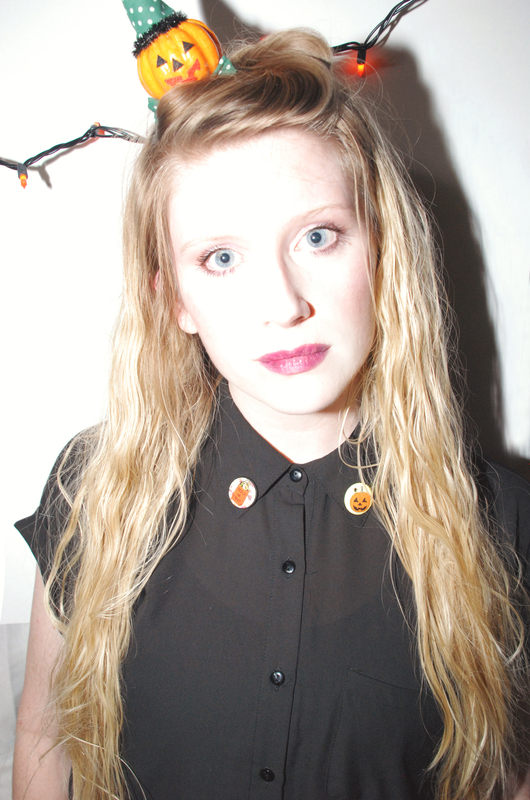 That sounds so gross, but I mean, it is “Ghoulish Goop”. 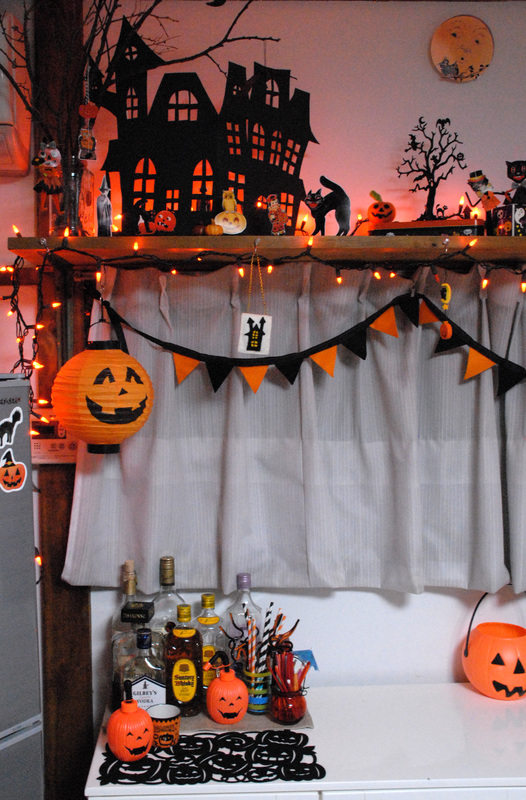 Enjoy with a Halloween-esque movie!!! 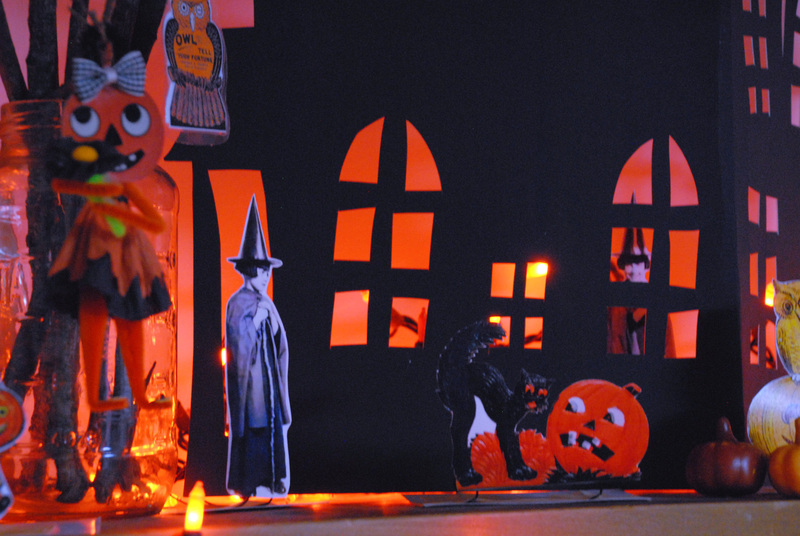 I’d love to hear your movie recommendations or any other ideas when it comes to fall family fun!!! 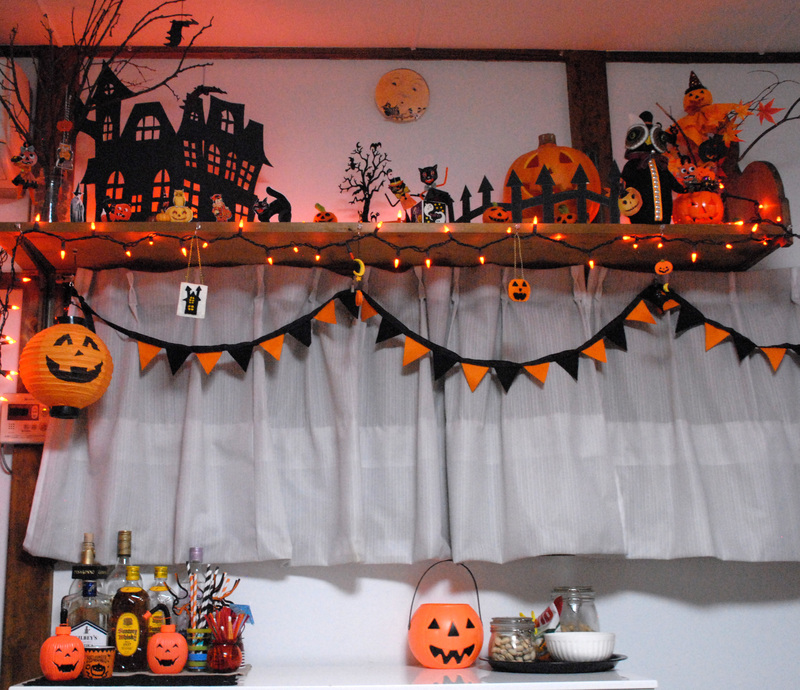 This is definitely my favorite time of year, and I’m always curious to hear about how other people celebrate autumn holidays and festivities. 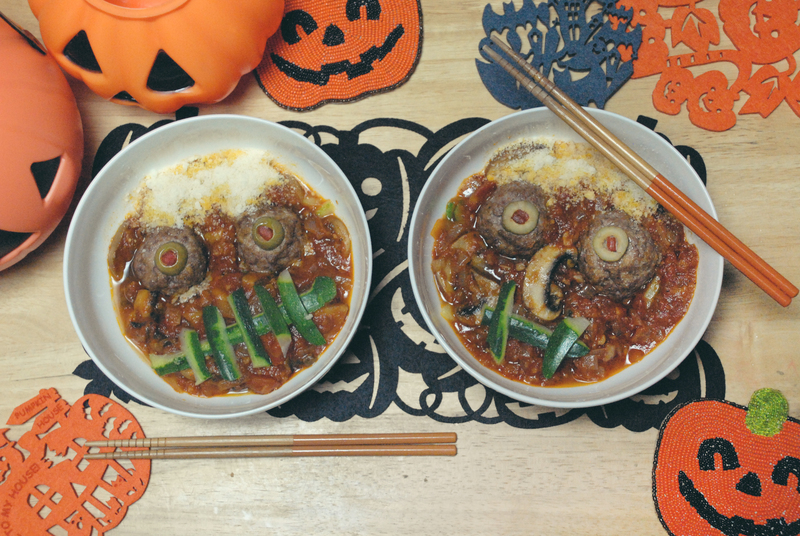 Hope you make time for a “scary” movie and festive meal sometime soon! Hey guys! 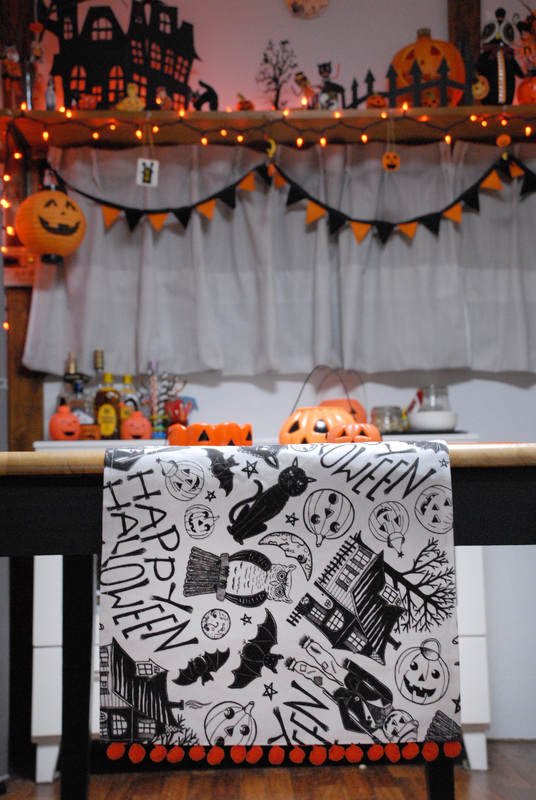 If you’re like me, you’re already thinking about fall festivities, and the holiday that really kicks off the beautiful season, Halloween (to be honest, I usually start planning Halloweeny-things the end of August). 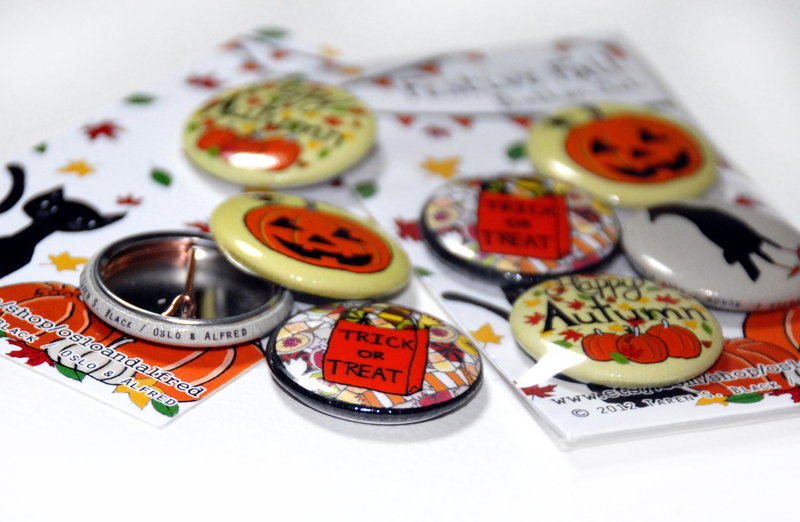 Whether you’re looking to decorate your home or office, or even pumpkin-spice-up your fall attire (hehe), Oslo and Alfred has some autumny goodness for you! 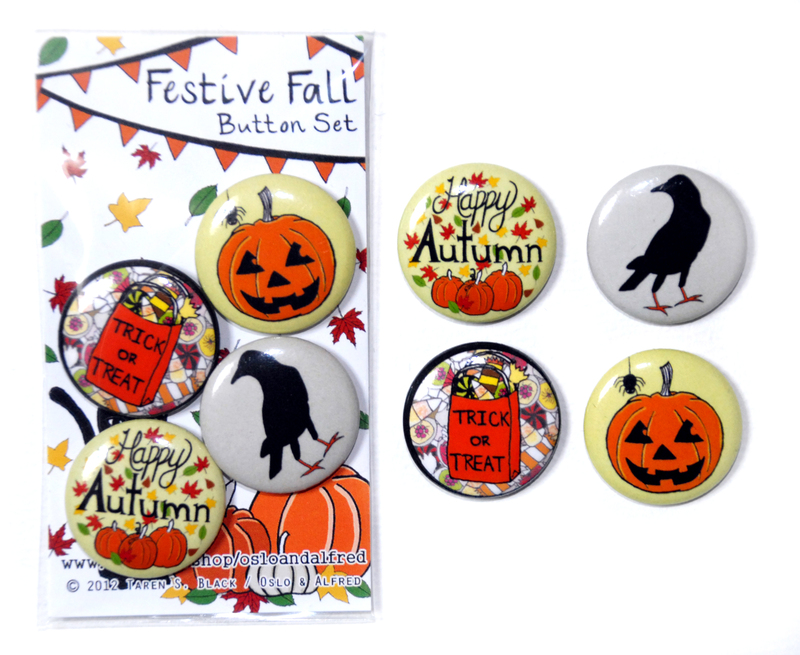 Our “Festive Fall Button Set” features seasonal badges that can add a “touch of fall” to any outfit or accessory! 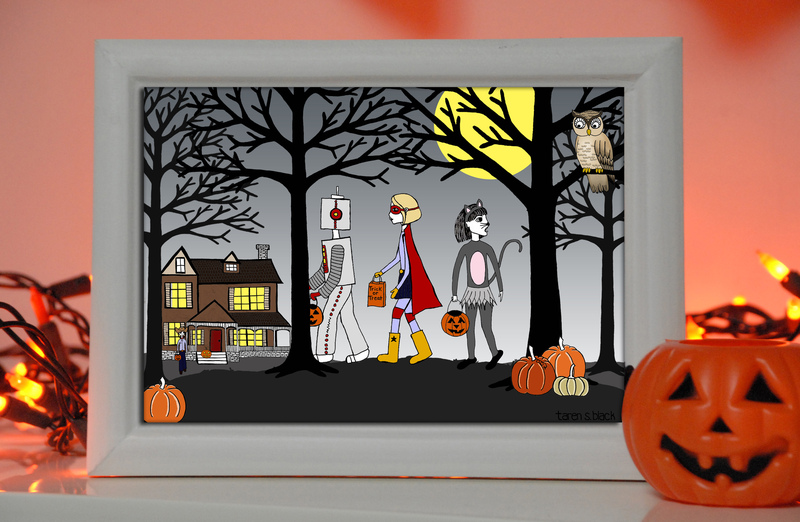 Garnish a bookshelf or mantel with our “Trick or Treat” art print (above). 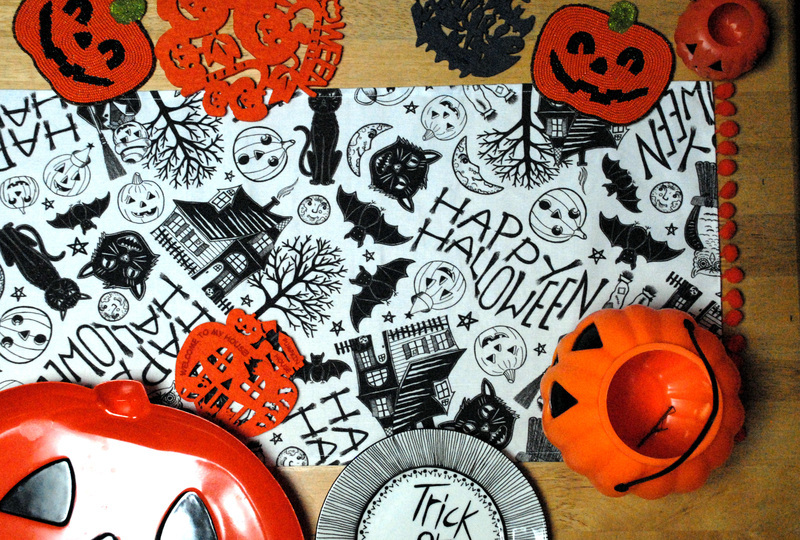 Set your table with our “My Vintage Halloween Table Runner”, I love the orange pom poms! 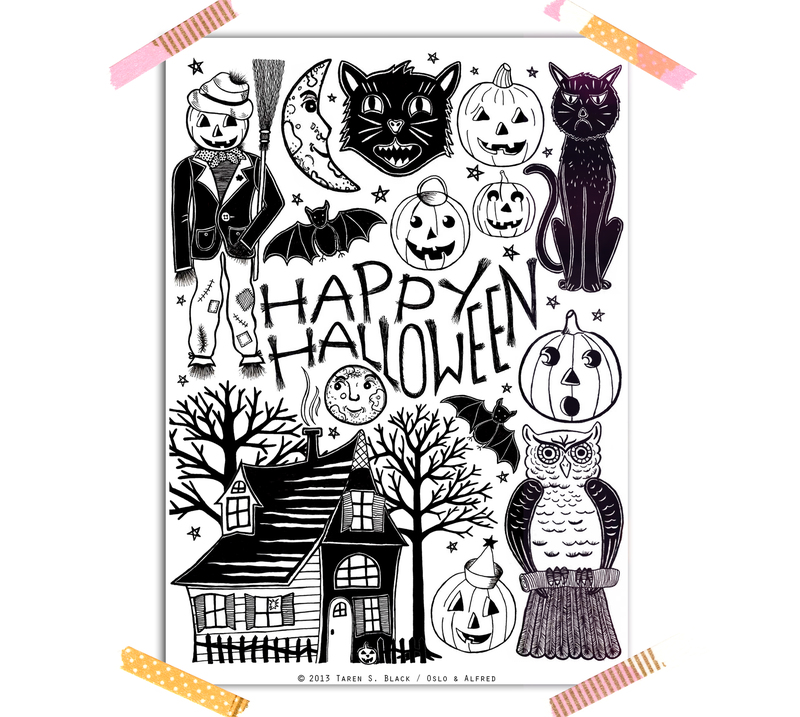 Another decorative piece we have in our shop is the “My Vintage Halloween” art print (below). 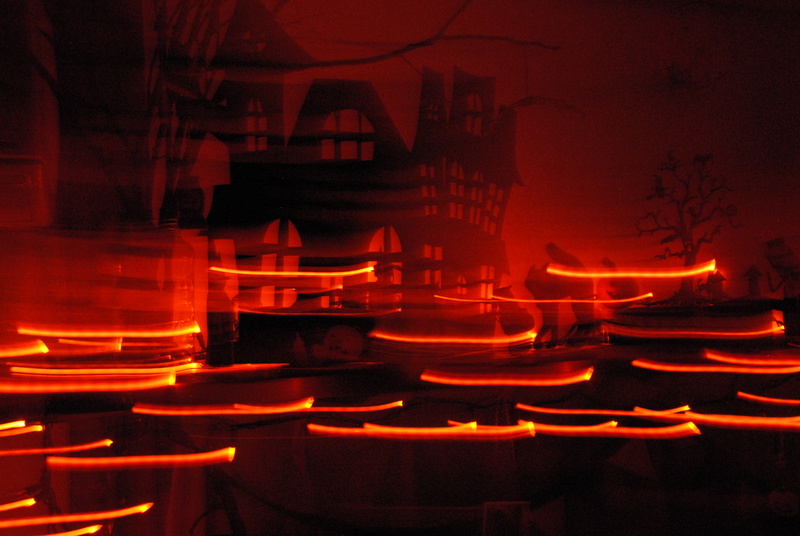 One final kitchen pic, I love playing with the shutter speed. 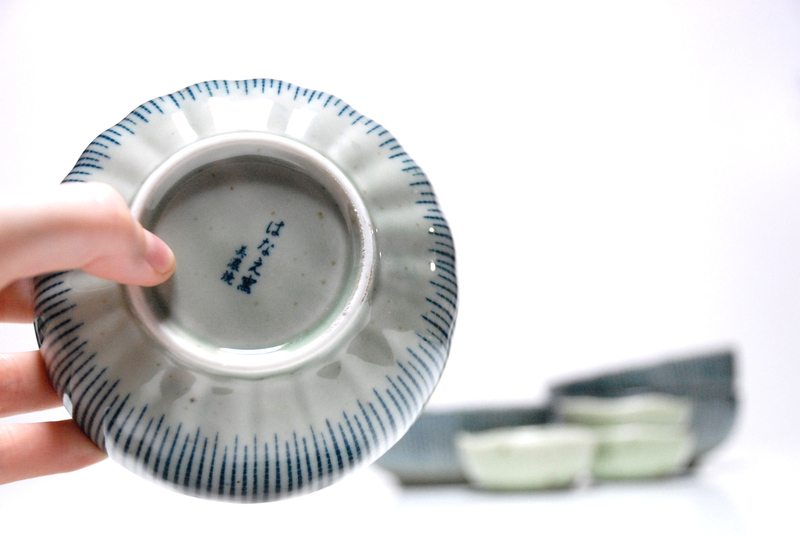 “Taren Shops Tokyo” is my new side project where I buy things I love here in Japan, and share them with whomever wants a piece of Tokyo in their home. 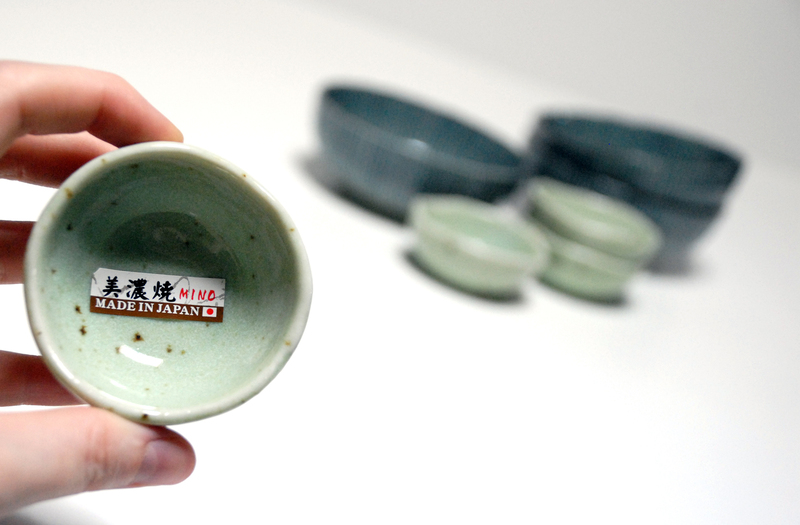 Check out some of the goodies I found in the Tachikawa District this week! 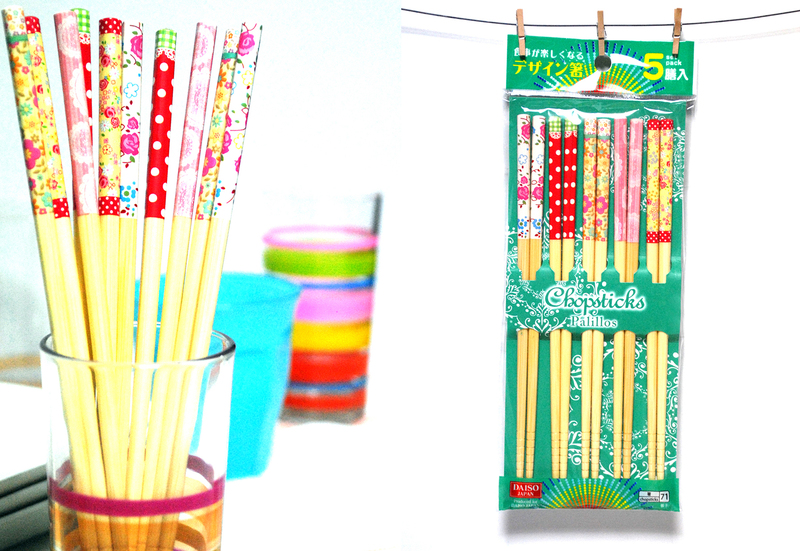 Item: TST-01 / Description: Set of 5 Chopsticks / Price: $8 / Shipping: Stateside $2, Everywhere Else $5 / Availability: 2 sets of 5. *Sets Sold Separately. 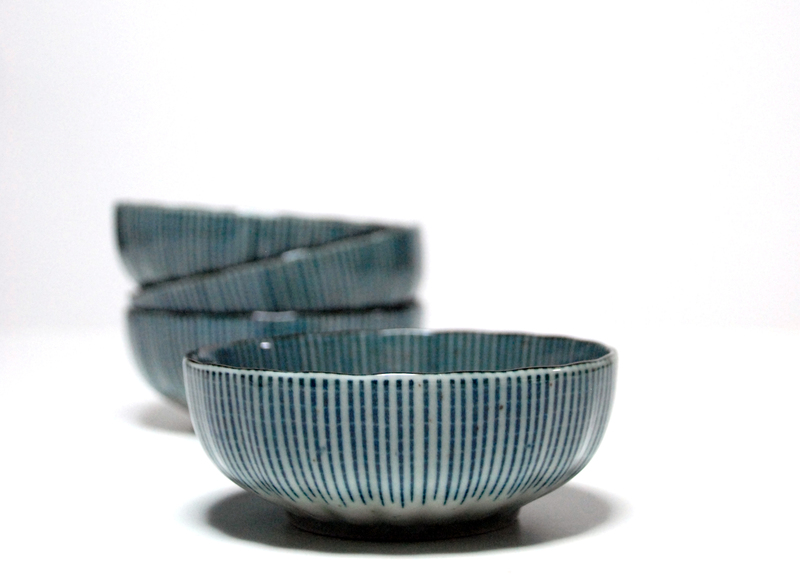 Item: TST-02 / Description: Small Blue Bowl, Made In Japan / Price: $8 / Shipping: Stateside $4, Everywhere Else $6 / Availability: 4 Bowls. *Bowls Sold Separately. 1. See something you love & just have to have? 2. Leave your PayPal email address in the comment section below along with the item’s code (Item codes and USD prices are listed below each photo. All comments are moderated to avoid spam, however, we receive each comment with a time/date stamp, so comments will appear in the order that they are received). 3. Receive invoice via PayPal, and pay within 24hrs to secure your purchase. If payment is not received within 24hrs, the product will pass to the next buyer (If someone beat you to your desired item, please feel free to comment with “me next! (PayPal email)” to secure the next place in line). 4. Wait excitedly for your product to be shipped within 1-3 business days after payment is processed. You will receive an email confirmation from me when your item has been shipped. 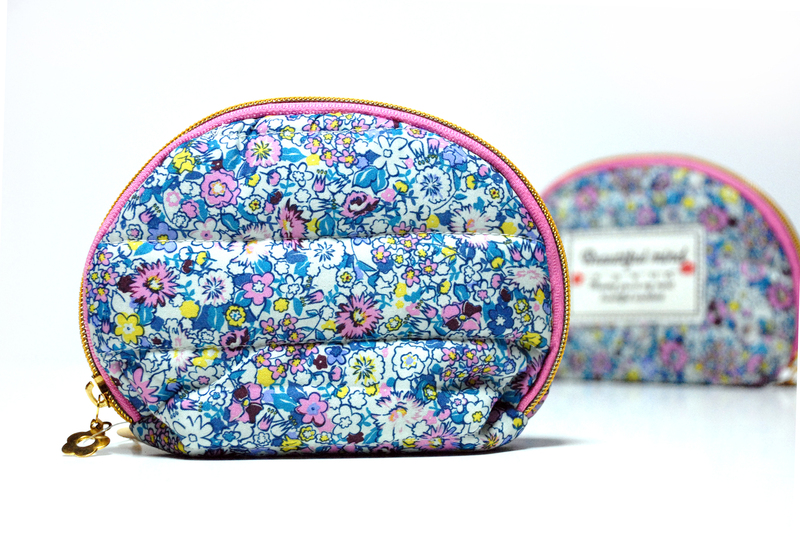 Item: TST-03 / Description: Small Floral Make-Up Bag, With Blue Plastic Lining / Price: $8 / Shipping: Stateside $2, Everywhere Else $5 / Availability: 2 Bags. 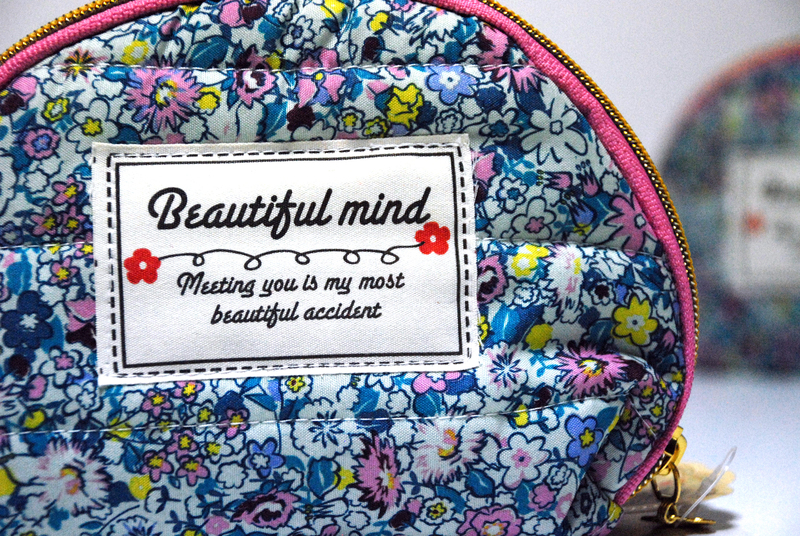 *Bags Sold Separately. 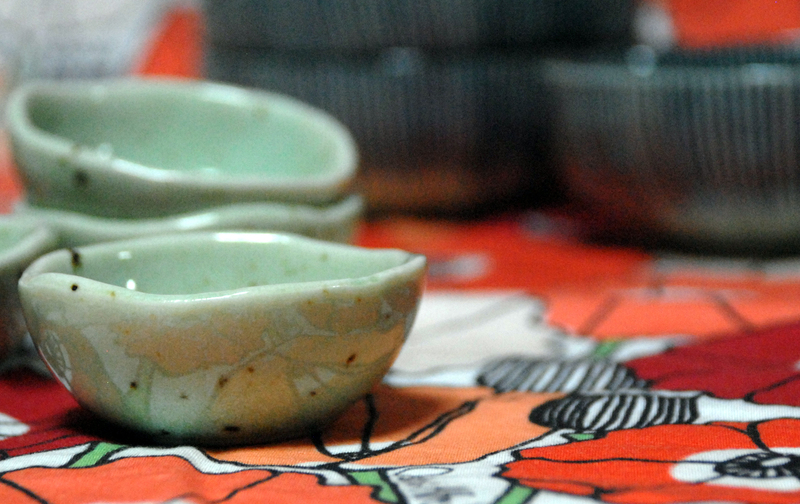 Item: TST-04 / Description: Small Light Green Bowls, Made In Japan / Price: $5 / Shipping: Stateside $3, Everywhere Else $6 / Availability: 4 Bowls. *Bowls Sold Separately. After living in Japan for 6 years (September 17th is our Japaniversary! 🙂 It’s freaky how time flies by), and having multiple friends and family members visit, I’ve always noticed how excited they get about shopping in Tokyo. My goal for “Taren Shops Tokyo” is to simply find things I love here in Japan and share them with international shoppers that do not have access to the products. 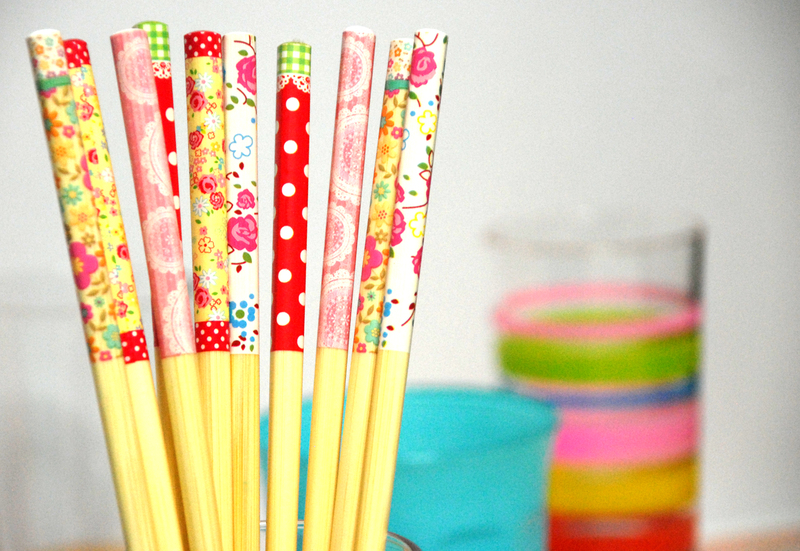 I’m even open for requests (stationery, stickers, washi tape, tea pots, etc….send me your Tokyo dream items). For more details on products you are interested in, please feel free to send me your questions via the Contact Page on our website www.osloandalfred.com/contact. 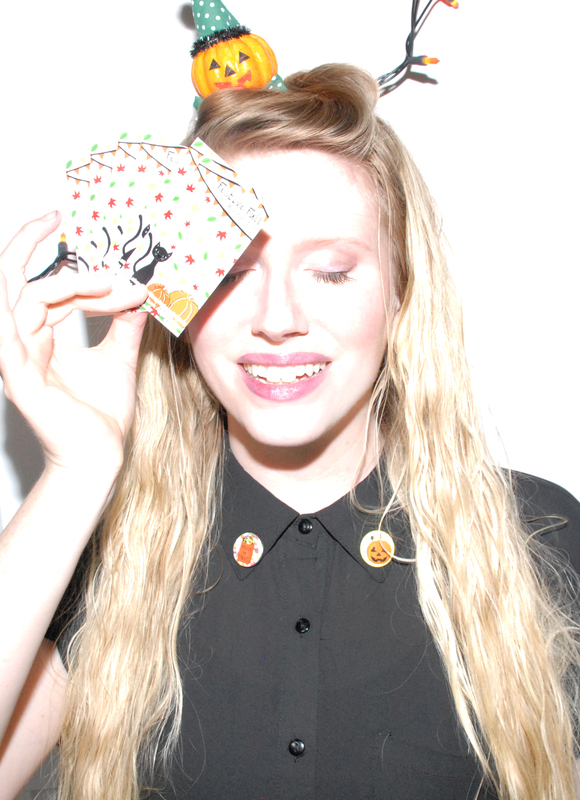 Also, if you’d like to purchase multiple items, we can customize your shipping expenses, just let us know! ***ALL “TAREN SHOPS TOKYO” PRODUCTS ARE NON-REFUNDABLE***. Disclaimer: The products I’m selling via “Taren Shops Tokyo” are not my own designs, therefore I cannot provide a guarantee for the buyer’s 100% satisfaction. What I can provide is a thorough description of the item(s), supporting photos, and knowledge of the item being in full working condition when it leaves Japan.